We've updated this series to include the February release of the Consumer Price Index as the deflator and the February monthly employment update. 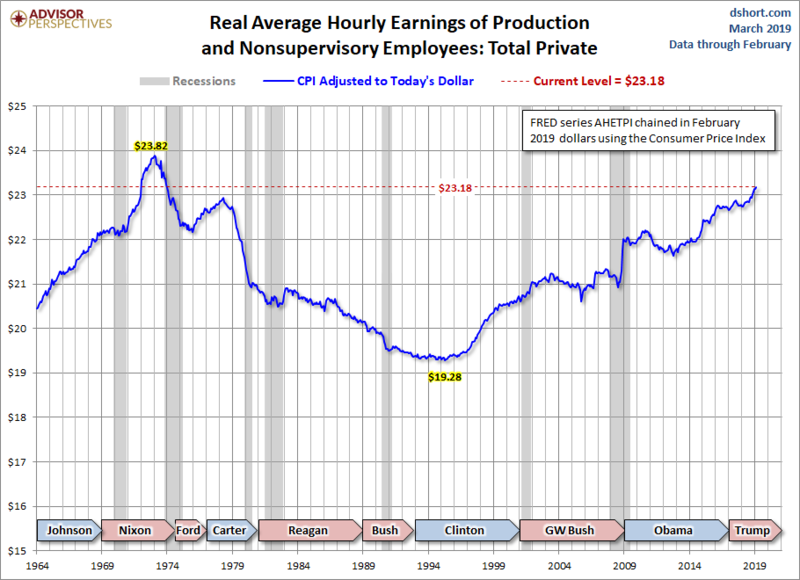 The latest hypothetical real (inflation-adjusted) annual earnings are at $38,942, down 11.6% from 45-plus years ago. 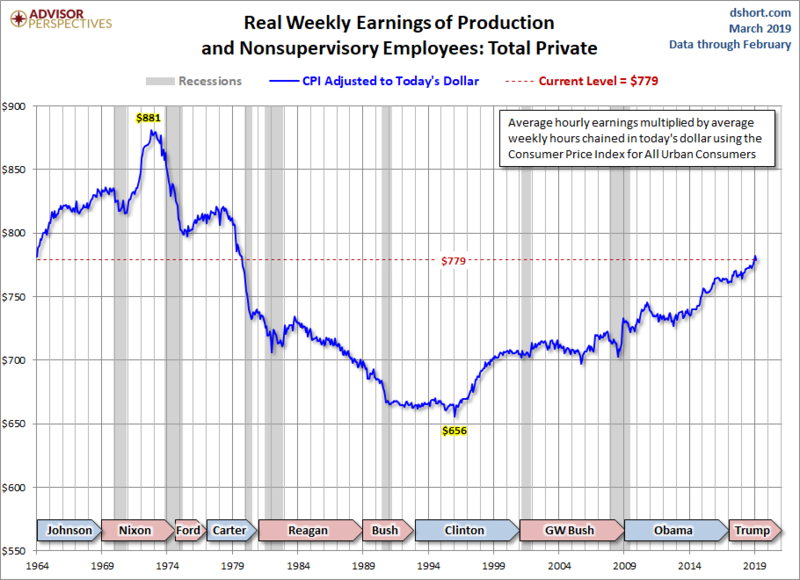 The average hours per week has trended in quite a different direction, from around 39 hours per week in the mid-1960s to a low of 33 hours at the end of the last recession. 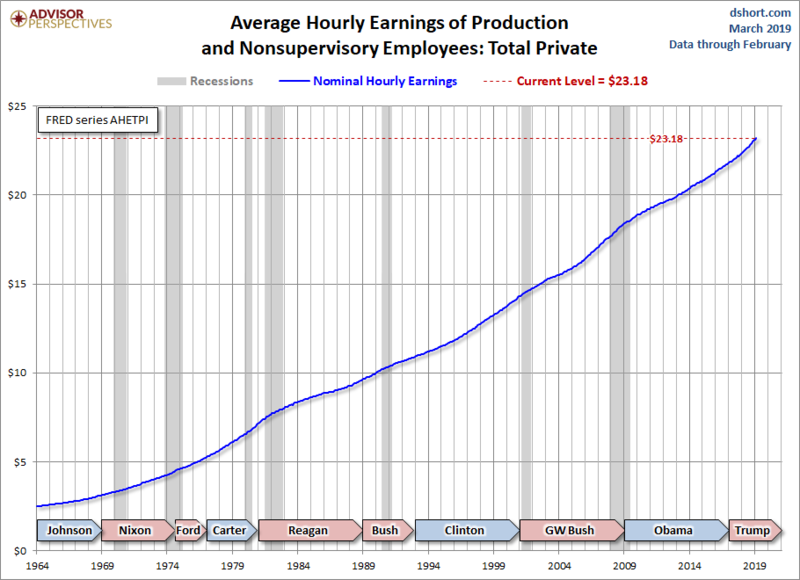 The post-recession recovery has seen a trivial 0.6 bounce (that's 36 minutes).